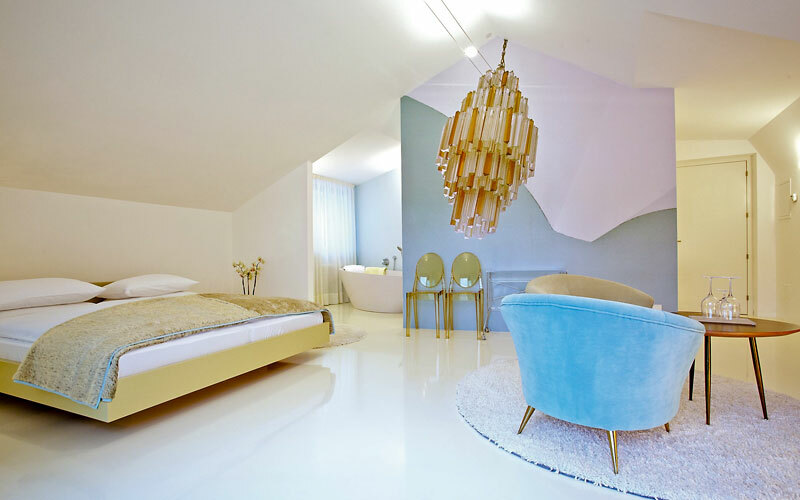 A sophisticated design hotel filled with contemporary art is, perhaps, the last thing you'd expect to find in the historic center of Trentino's most loved spa town, and yet Merano's Boutique & Design Hotel ImperialArt is just such a place. Boutique & Design Hotel ImperialArt is the latest chapter of a story which commenced back in 1923, when the edifice was known as Cafè Westminster. For years, the cafè, famous for its splendid 1899 Liberty style façade, was the favorite meeting place of artists, intellectuals and travelers, visiting Merano. 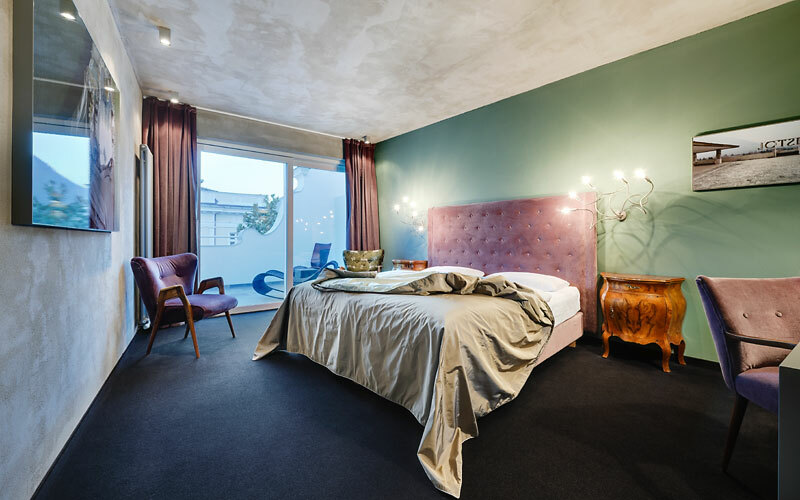 Today's hotel was created in 2010, when the local hotelier, Alfred Strohmer, decided to realize twelve apartments above the city's legendary coffee house and thus create a tangible link between historic and modern day Merano. 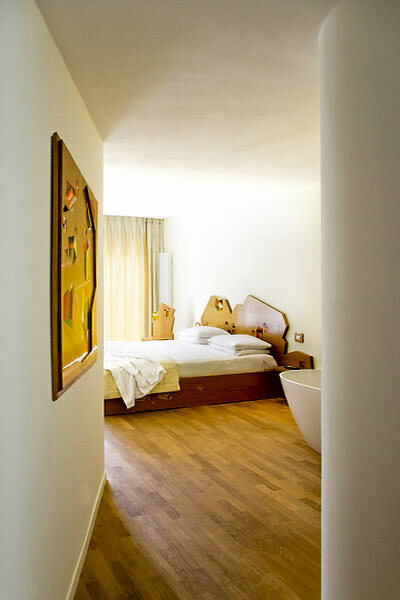 Each of ImperialArt's eleven, ultra contemporary suites has been individually designed by one of the three local artists employed by Strohmer to create the hotel's unique, modern living spaces. 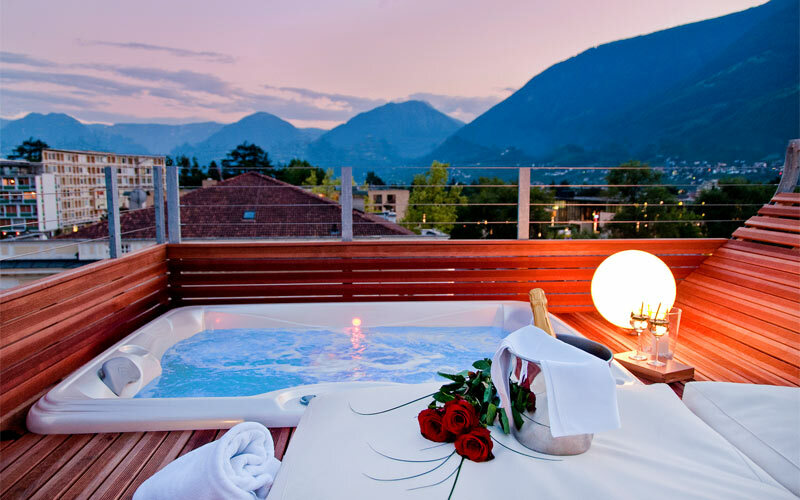 Those looking for the ultimate in luxury should try to book the hotel's fabulous penthouses, complete with panoramic terrace with Jacuzzi. 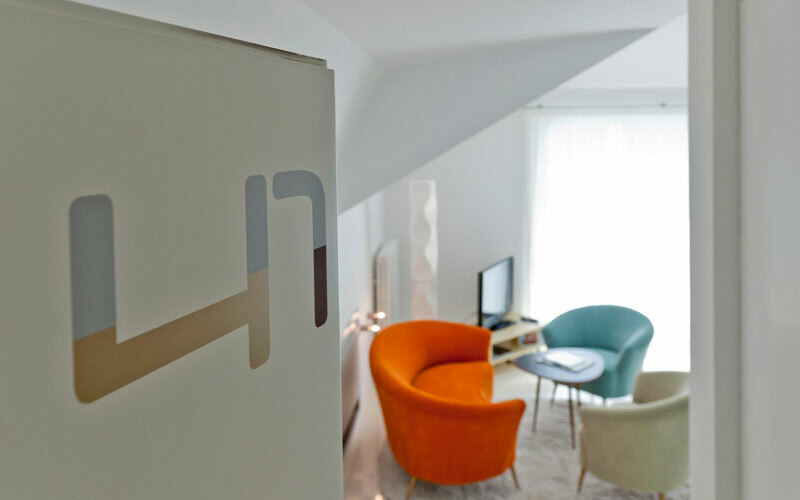 Each room comes with a wifi-enabled tablet to surf the web or read one of the 12 newspapers we subscribe to online. 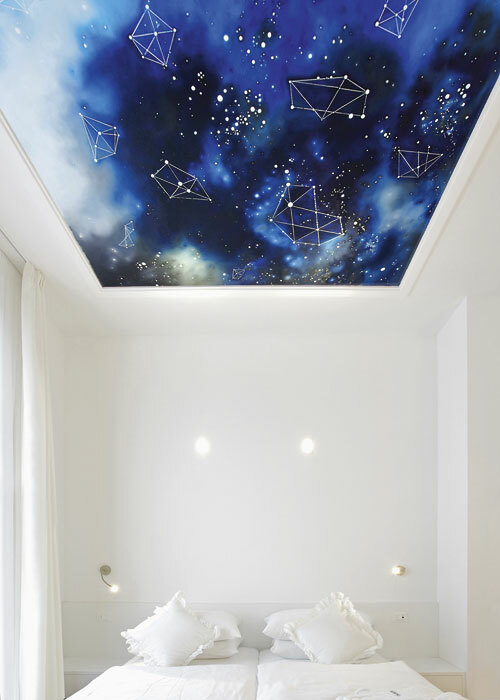 Make your dream come true. 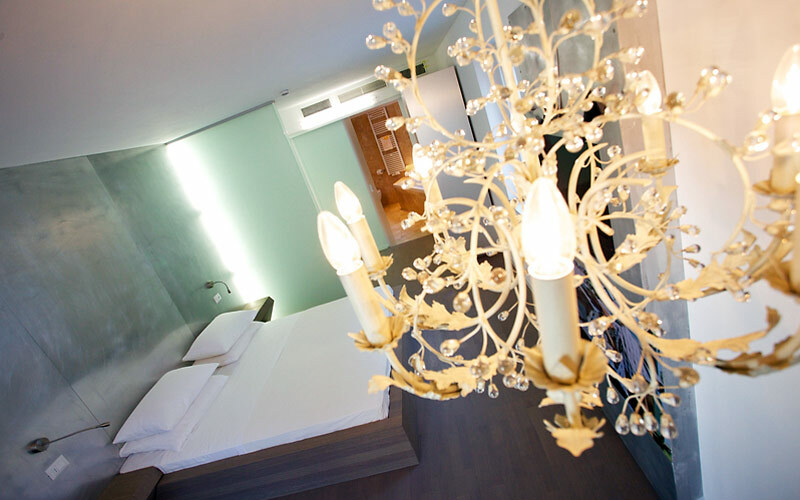 Flowers, candles and champagne in your room, a trip in a horse-drawn carriage, or a helicopter flight over Merano: at ImperialArt, all you need to do is ask! 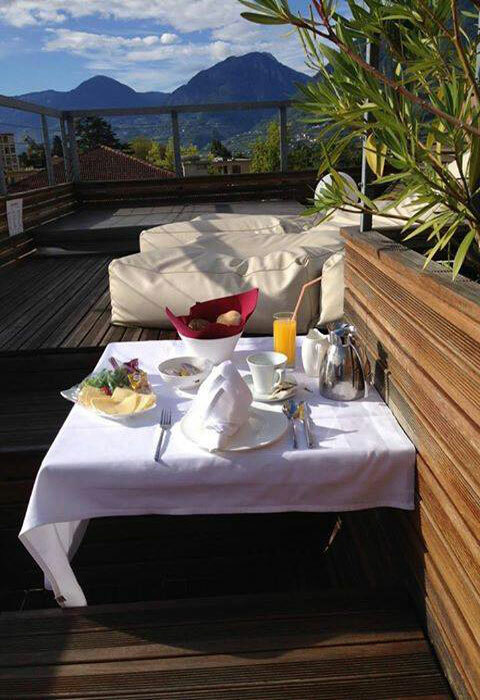 Breakfast is served at the CoffeeArt, the interiors of which have recently been restyled in sleek minimalist style. ImperialArt hotel's gourmet buffet breakfast includes freshly baked breads, homemade cakes, a range of breakfast cereals, fresh fruit, and as much freshly ground coffee as you fancy. 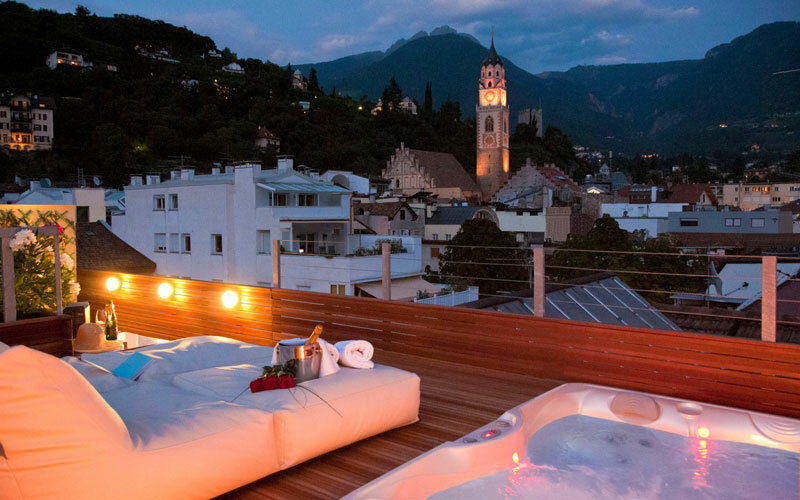 During the day, after an excursion in the mountains or a morning's shopping in the center of Merano, guests often meet in the cafè for a leisurely drink or quick bite to eat before heading to the city's famous thermal baths or the splendid gardens of Trauttmansdorff Castle, the latter just a ten minute drive away. 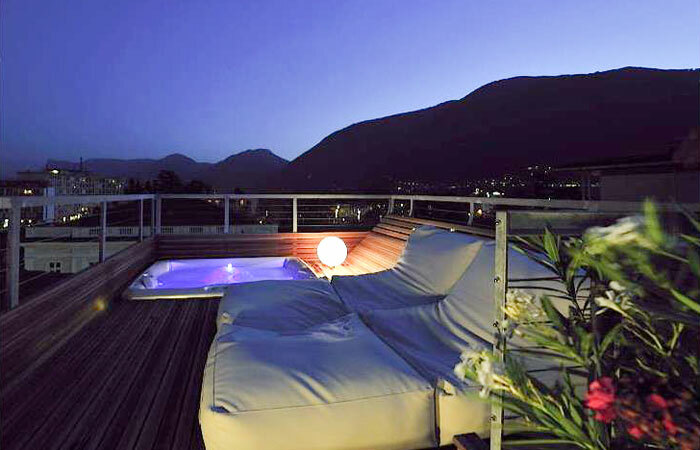 Stay at ImperialArt and enjoy daily, 3 hour VIP access to Merano's thermal baths - free of charge! 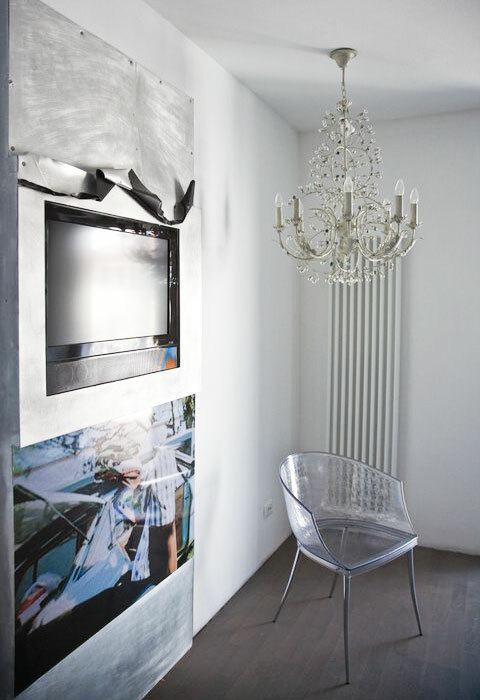 Easily identified by its Liberty style façade, ImperialArt is a stylish little boutique hotel on Merano's elegant Corso Libertà. 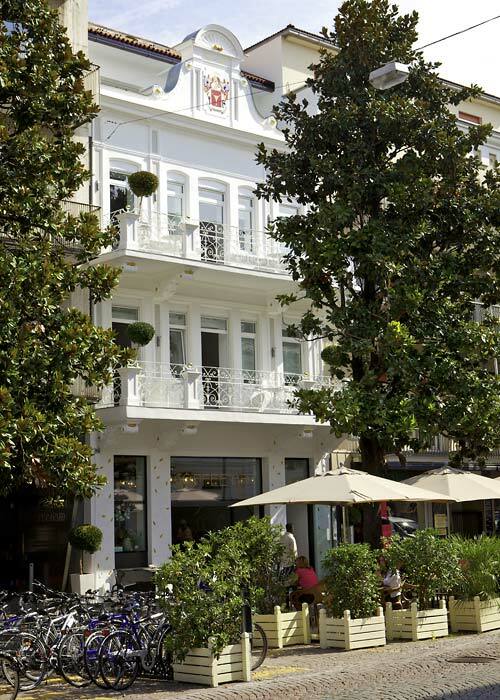 Via dei Portici, the Kurhouse, Merano's thermal baths, the Puccini theater, and the Passirio promenade all lie within steps of the Boutique & Design Hotel ImperialArt. On the immediate outskirts of the city, the spectacular gardens of Castel Trauttmansdorff are a ten minute drive or pleasant, 30 minute stroll away.